It was a debate that continually divided the two political parties in the early days of United States history. Was it proper to have a standing army and navy? Or was it better to call out the militia and arm a few privateers in the event of war or rebellion? The arguments and decisions regarding American military were passionate from both sides. Understanding the political conflict and its resolution is key to knowledge about the early American navy and its role as “protector” of maritime interests in the 19th Century. 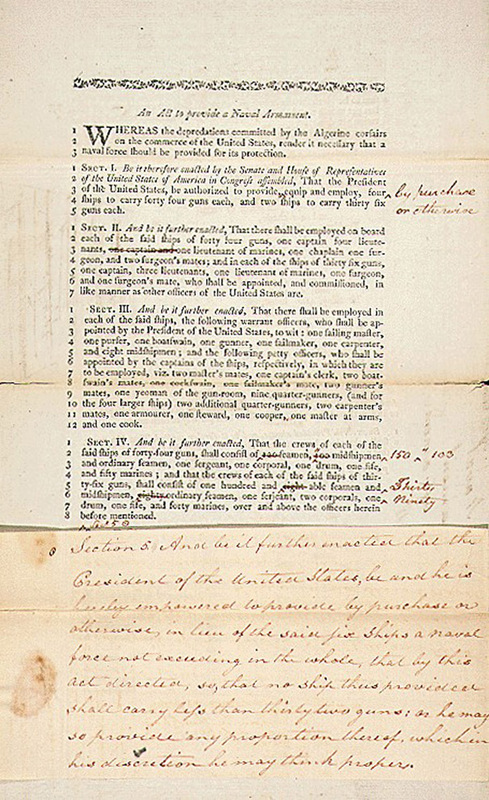 The American War For Independence concluded with the Treaty of Paris in 1783. Four years later the U.S. Constitution was written. 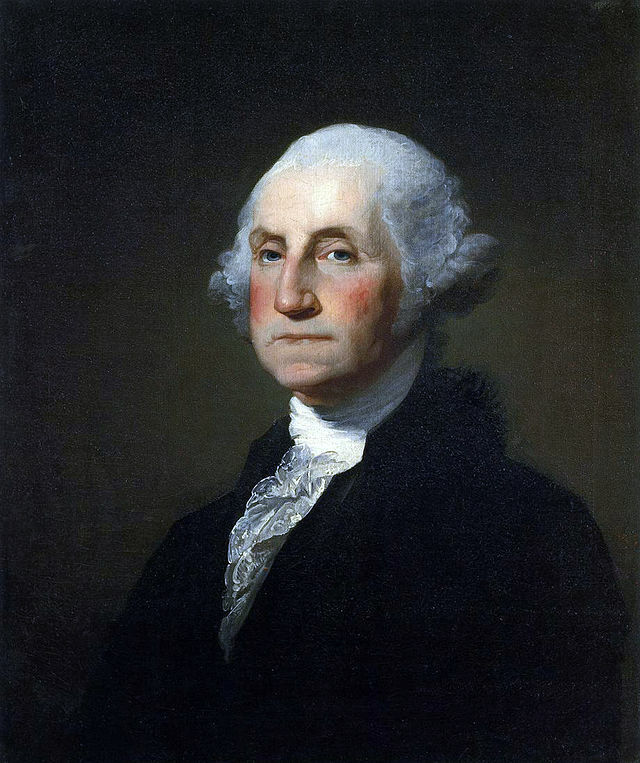 In 1789, George Washington became the first president. An ocean away from the new country, Britain frowned at the colonial loss and tried to restrict American trade. The French Revolution did not ease the tensions over trade and the American interest in the European “republicanism” drama. George Washington tried to navigate uncharted waters regarding diplomacy, government, and international relations. While he held a view of neutrality, future presidents argued in his cabinet and in congress – seeking ways to strength the new nation and enforce respect. With maritime trade still a key part of the country’s wealth, protecting American interests on the high seas seemed imperative to some, impossible to others. Washington had fought a war which cost the lives of thousands of Americans. He did not want to become involved in another war. In his opinion, Europe had had centuries of conflict without any help from America; the United States should not get involved. His view wasn’t always popular in America, though. Quite a few Americans wanted to actively help the French with their own revolution which began in 1789, the same year Washington became president. Washington would not help or oppose the events in Europe. As the French Revolution strayed from republican ideals into a bloody reign of terror, other European countries united against France. Washington attempted to stay friends with “everyone.” He wanted American trade to continue with both Britain and France. However, it wasn’t long before Britain was convinced that American trade was helping to keep French armies in the field. The diplomatic scuffle was exacerbated by slow communication, but Washington ultimately stayed out of the conflicts. He just didn’t have force to effectively enforce his desire to remain neutral and keep American interests safe. The Federalist political party – led by Alexander Hamilton – advocated for a strong central government which would be able to make decisions, enforce laws, and protect the country. They wanted a military – but not always with the best intentions. Some Federalists thought it might be a good idea to have a military to threaten their political opponents; others wanted military might to enforce Washington’s neutrality and protect trade. The Federalists tended to be geographically located in the Northeast, an area that relied heavily on commerce, ship building, and other maritime commerce. Along with their political ideologies, they had economic motivations. Closed ports, seized ships, and searched crews weren’t good for business. If the United States had a navy to enforce policy, agreements, and demands, other countries (namely Britain) would be required to take the new country seriously. 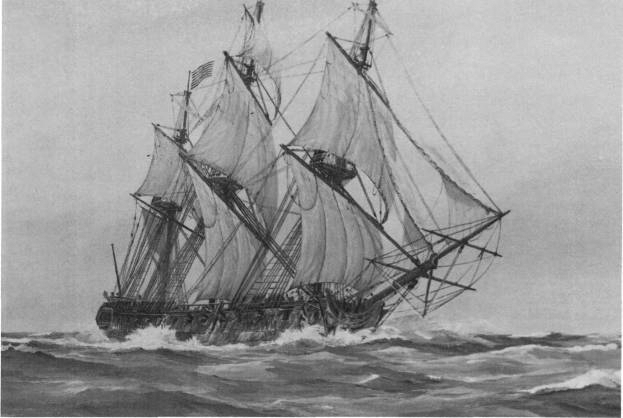 The Federalists lobbied to build about 60 navy ships, intent on creating a maritime power that might eventually rival Britain; they were still thinking big ships equaled big power, not exactly learning from the previous war. Would navy war ships foster respect for the United States, embroil the country in war, or be used against its citizens? The Democratic-Republican Party was formed in opposition to the Federalists’ centralizing the government goals. The party felt that all power not given to the government in the Constitution should remain with the states, forming a democratic republic form of government. They weren’t keen on the ideal of a national military force which could be turned against the states and citizens. State militias, which could be called out in times of national crisis, seemed sufficient to them. They had no use for a navy force and tended to strongly oppose it in Congress. They voted down the Federalists idea for about 60 ships. When Thomas Jefferson became president at the beginning of the 19th Century, he let the navy shrink and was determined to avoid conflicts. He would have less success than Washington, and his difficulties in the maritime world will be discussed in a later blog post. Interestingly, Jefferson privately supported the idea of creating a small navy – small was key. Piracy and the inability to stop maritime harassment by European powers had prompted the bill. Though some admitted it unwillingly, Americans were beginning to understand that they would have to find a way to protect their national interests abroad – and sometimes that meant having the military power to ensure respect and safety. In his farewell address, George Washington continued to urge the principle of neutrality as a policy for the new country. He recognized that American maritime trade and industry would bring the country into relations with other nations, and he urged fairness, no partiality, and good relations while avoid political and military entanglements. Federalists and Democratic-Republicans debated how American should be run and how the country should fit into the international picture as the 19th Century dawned. The United States’ role has changed through time, but it’s important to remember and understand our beginnings. Both sides argued hard (but eventually agreed to compromise) about the founding of the U.S. Navy which became the guardian of American maritime interests and continues to play a vital role in international relations and protection. P.S. The debates about military in the 1790’s and early 1800’s were as passionate as current political debates of the 2010’s. Though many of the topics were quite different, I found many similarities between the debates at the beginning of our history and current “hot topics.” Do these similarities encourage you that Americans can find a way to compromise for the good of the country?